Prevents future wrinkles and crow's feet. 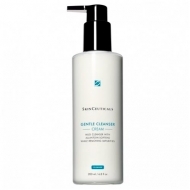 SkinCeuticals A.G.E. 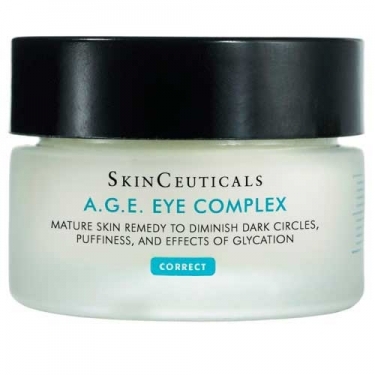 Eye Complex is an eye treatment to correct the signs of aging skin around the delicate eye area. 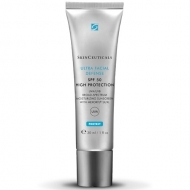 Developed with a complex of flavonoids and synergistic peptides to reduce the appearance of dark circles and shadowy areas. 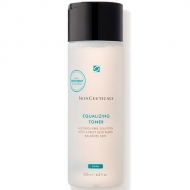 Contains Proxylane to erase wrinkles and crow's feet whilst blueberry extract helps prevent future wrinkles. This mature skin remedy is infused with optical diffusers improve radiance in tired eyes and erase dullness.